Buffalo Trace The Bourbon Community Roundtable Single Barrel (45.0%): Today I have a very special Buffalo Trace private barrel bottling on my desk. It is the first barrel pick of "The Bourbon Community Roundtable" team formed by Bourbon Pursuit, Breaking Bourbon, Sipp'n Corn, Bourbonr and Subourbia. The barrel was filled on October 27th 2009 and dumped on February 20th 2018 and comes from warehouse K, floor 5 and rick 51. Color: Medium amber, polished copper with thin and fast legs. Nose: Sea salt caramel chocolate, After Eight thin mints and candied orange peels. Cinnamon, nutmeg and vanilla. Orange blossom honey and toasted oak. Palate: Peanut toffee brittles, Muscovado sugar and corn whiskey. Pitted dates, molasses cookies and subtle oak notes. Was hoping for the candied citrus notes to make it to the palate but they didn't. Mint is there though: Mint chips and honey roasted almonds. Finish: Medium with white pepper and corn syrup. 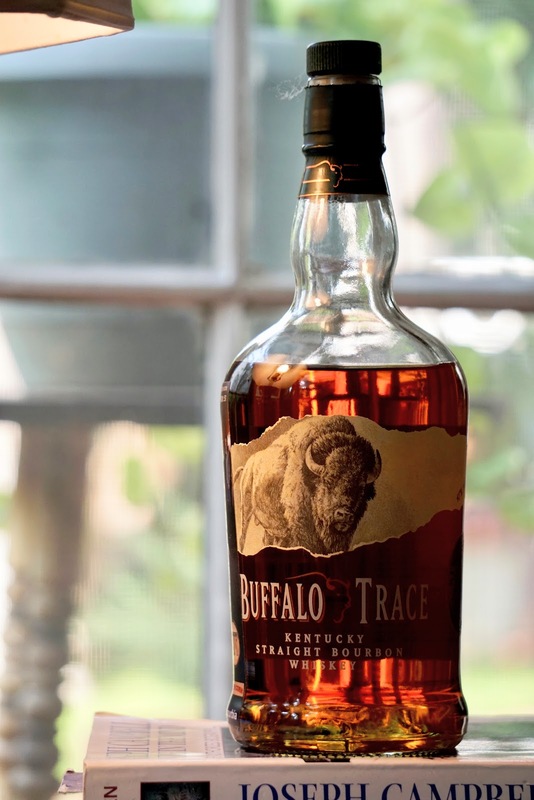 Overall: Solid pick... Everything you would expect from a Buffalo Trace bourbon with the addition of citrus and mint on the nose and nuts on the palate... 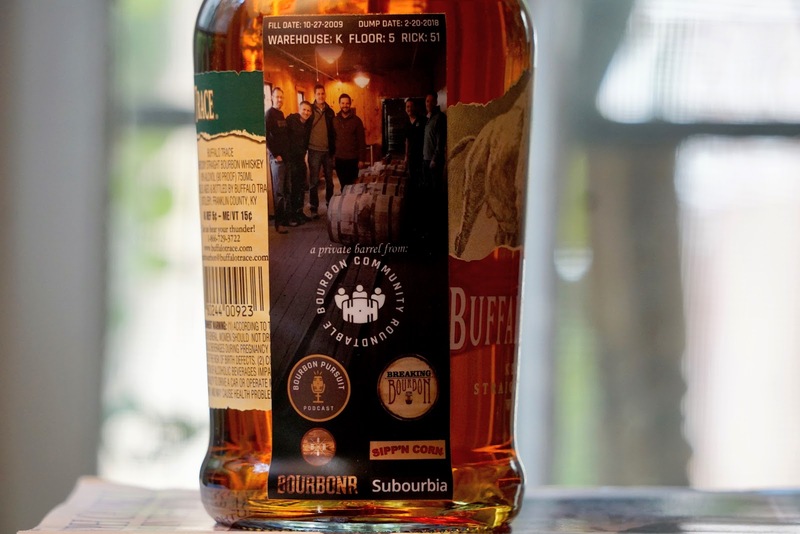 Thanks to Bourbon Pursuit, Breaking Bourbon, Bourbonr, Sipp'n Corn and Subourbia. Cannot wait for the future picks.